A rapidly developing area of low pressure will continue to drift off to the northeast Sunday. Widespread moderate rain will fall in areas east of the Mississippi River. As the system continues to strengthen and pull away, winds will shift to a more northerly direction. This northwest wind will usher in enough cold air before the precipitation ends to see the frozen variety. 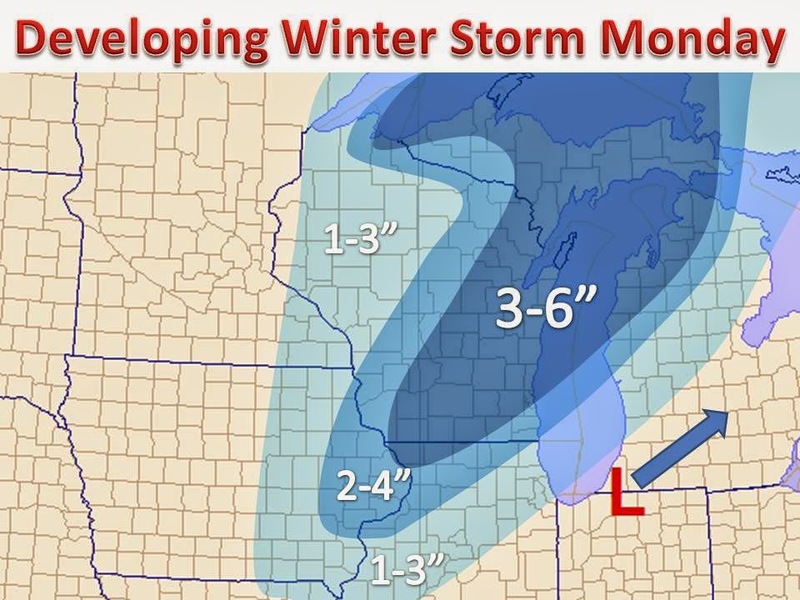 Much of the rain will transition to moderate snow by Monday, with several inches likely. 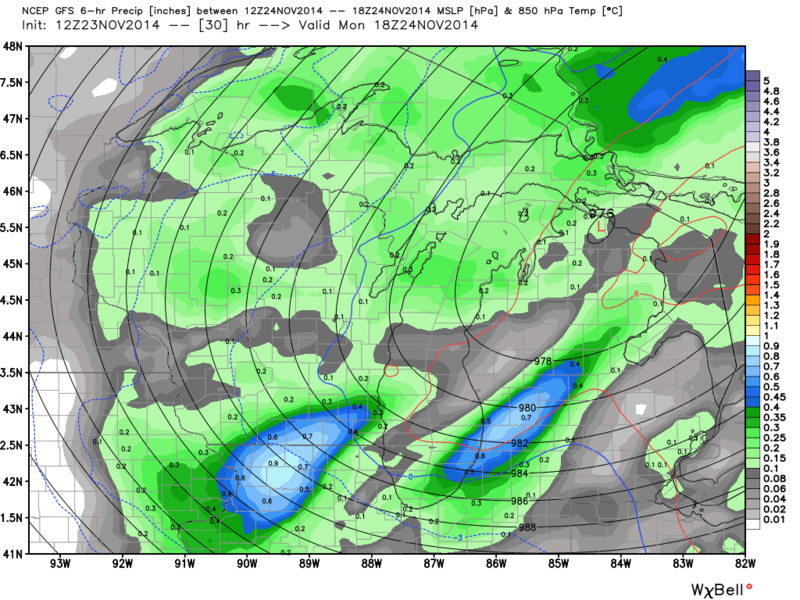 The key to how much snow falls and where is falls will depend on how quickly the cold Canadian air works its way in. The image below is the EURO model's take on where the all important 0C line will set up at 850mb, it is the solid blue line. While this model has the freezing line ahead of the precipitation, not every model does. This is a tricky forecast, but confidence is on the rise of the snow accumulation solution above. Many areas that see snow will be in the 3-4" range, but bands of heavier snow and thunderstorms rotating into the cold air could send isolated amounts to 6" or 7"!